Ask your question and the Oracle will answer you. Very easy, you have to write a question that can be answered affirmatively or negatively (yes or no). For example: Will I find a job? Will my partner come back? , Will I find love?, Will I have children?, etc. and then press the button to get the answer from the oracle. Should I believe blindly to the oracle? NO! The answer is only a guide, you must analyze what what's best for you and is a personal decision. You shouldn't leave your destiny to others. 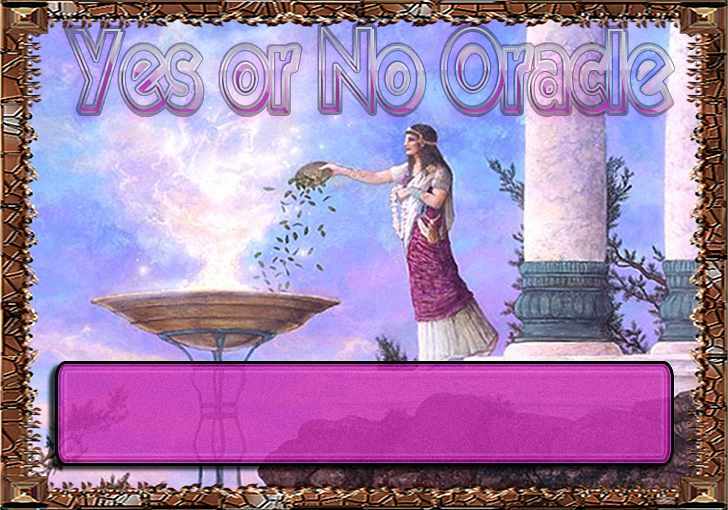 Consult the Yes No Oracle, can only be used as guidelines or rather confirmation. Whenever you ask a question, before seeing the oracle response, you have a feeling or a desire which should be the answer. If the oracle match what you expected so much the better! But if the oracle contradicts you, it's not to say that's right, it's just a second opinion but like everything in life, yours is always the most important, remember that. Important: DO NOT make more than once the same question because the oracle can answer different every time because of your mistrust. The only answer that counts for each question is the first one.